How to use Yoga and Mindfulness tools to become the most Conscious Parent we can be? Includes practical ideas and tools to assist with anxiety, sleep difficulties and emotional management. Also includes access to videos and other materials you can use with your child after the workshop. Are you constantly triggered by your child’s behaviour? Are you fed up and tired with pointless power struggles and hearing yourself yell at your kids? Are you feeling helpless where it comes to helping your child unplug from social media? Are you feeling a lack of connection with your child? Are you dealing with a child who is anxious or depressed? Would you like to help yourself and your children relax and feel more connected, calm, peace, joy and creativity? Then this Introductory Exploration is for you! Becoming a fully conscious parent is the greatest gift we can give our child. Our children can be our greatest teachers. The very behaviours that push our buttons – refusing to cooperate or ignoring our requests – can help us build awareness and shed old patterns, allowing us to raise our children with greater ease and enjoyment. A certain child enters our life with its individual troubles, difficulties, stubbornness and temperamental challenges in order to help us become aware of how much we have yet to grow. The reason this works is that our children are able to take us into the remnants of our emotional past and evoke deeply unconscious feelings. To understand where our own internal landscape needs to develop, we need look no further than our children’s gaze. Our children come to us so we may recognize our wounds and call up the courage to transcend the limitations these wounds place on us. In this our children are our allies, as they repeatedly mirror aspects of our unconsciousness, giving us opportunity after opportunity to awaken from slumber. Exchange is £45 for the half day workshop Contact us to reserve your space! Visit us on our you tube channel for videos that you can do at home! We’ll be regularly updating the channel, so please subscribe if you would like to be notified each time we add something new. Spring is a time of new beginnings, when we traditionally look to let go of the old and embrace the new. It is the perfect time to de-clutter and revitalise our homes and surroundings. This period in nature’s cycle is also a great opportunity to extend these new beginnings to ourselves, re-evaluating our mental patterns and habits or strategies that we have come to use to cope and make sense of our daily lives. It is very easy, particularly over the winter months, to fall into bad habits that can have a negative impact on our physical and mental health and wellbeing, such as unhealthy eating, poor sleep patterns, and/or a more sedentary life style. Together these aspects of our lives can lead to a detrimental effect on our health that can be difficult to overcome. Yoga is a wonderful tool to help address these issues, working on mind, body and soul to create lifestyle improvements that can become tangible and visible almost immediately as we begin to make a commitment to regular practice. Focusing particularly on mental health, in the winter months, the body and mind can often almost go into hibernation mode, preferring to stay inside in the warm, socialise less often, comfort eat and sleep more. We become more lethargic and lack can in motivation. All of these things can lead to negativity, for instance if as a result we may have gained a little weight, thus feeling less comfortable with our bodies. We may feel sun deprived and perhaps have shied away from social interaction with friends and family, due to the winter weather. 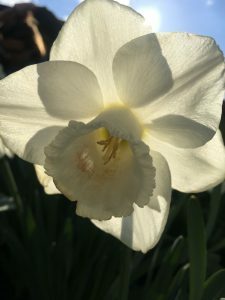 Spring is a great time to begin to embrace life more heartily once more, resolving to get out and about more often with the improved weather and giving us more opportunities to engage in outside and social activities. With an increase in the hours of sunlight, there are more light hours in the day to engage in positive activities such as yoga. 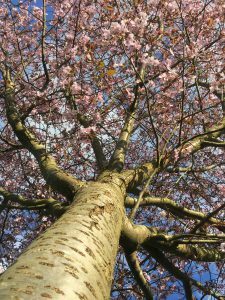 Our yoga practice can give us a wonderful opportunity to set new intentions or resolutions to take better care of ourselves with the coming of Spring. Here’s a small list of ways we can use yoga to improve how we feel mentally and physically. The breath – yogic breathing exercises are a great way to help us develop a calm and even state, by slowing the breath and encouraging a sense of calm within body and mind. Physically too controlled breathing or pranayama helps our breathing by bringing improvements to conditions such as hay fever and asthma, by increasing lung capacity and clearing the sinuses. Breathing practices such as analoma viloma (alternate nostril breathing) leave us feeling relaxed and centred as well as helping us with issues such as insomnia. Balance – Any simple balance that we perform helps us to centre ourselves and improves our focus. The control and concentration required enables us to turn our attention inwards, keeping our attention in the present moment and helps us to engage with the feedback that our body provides to us. 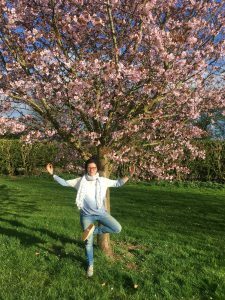 Arrow, wobbly man and tree (Vrksasana – see image above) are nice simple, subtle balances that can be practiced anywhere, or whilst we are engaging in another activity (such as queuing or washing up even)! Flowing Movement – Flowing sequences such as Suyra Namaskar (sun salutations), Sun Power Series 1 and Chandra Namaskar (moon salutation) are great for cardiovascular fitness and getting our endorphins going to bring us into a more positive state of mind. Yoga poses activate the parasympathetic section of our central nervous systems and release the relaxing, happy-making hormone, oxytocin. Again, the focus on the postures and the breath naturally calms the mind and helps us to stay single pointed in our focus on the present moment. These sequences have the added bonus of simultaneously working almost all the muscles in the body, helping us to stay supple and improving our vitality and overall fitness. 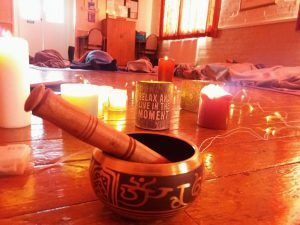 Relaxation and Meditation – Taking time out to be still and focus inwards helps us to clear our mental clutter and gives us the opportunity to set intentions for positive changes we wish to make within ourselves. The first step in creating change, is, after all, to affirm and set the intention in motion for what which we wish to achieve! Once we give an idea clarity and focus with our thoughts, it becomes easier to make our wishes reality and create change in ourselves. 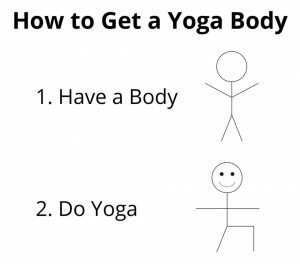 There is a misconception that you somehow have to look like something out of a fashion magazine in order to be able to achieve yoga postures. This couldn’t be further from the truth. Yoga is suitable for every type of body, small, large, rounder or thinner and the benefits can be enjoyed by all. It can be practiced by the very young, right up to old age, by those with a larger body or those who are slim, by those who are pregnant and even by those who may have sustained an injury. In our culture, it is wrongly assumed that a bigger body is either inflexible or unhealthy or both. In reality, nothing can be presumed from just looking at someone’s size or stature. In reality, a person’s size, weight or BMI is not a reflection of how physically fit someone is or how frequently they exercise or the level to which they practice yoga. Yoga is a wonderful way of using the body positively and becoming happy in our own skin, through releasing the idea that we have to look like an unobtainable perfection that the media falsely peddles to us daily. Yoga helps us to realise that our bodies are a gift. 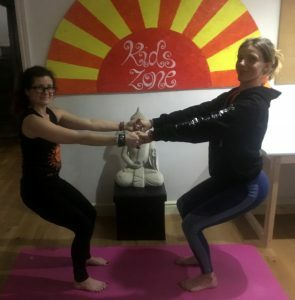 Bigger bodies in reality can also do the most incredible things, and as with any type of fitness activity or exercise, creating a regular, safe practice enables our bodies to develop positively. Regular yoga practice helps us in creating a healthy lifestyle and tap into mind, body co-ordination and balance. It enables us to take back our personal power, bringing us in harmony with ourselves. This is a personal journey, rather than a competition. There is no need to compare ourselves to others as we are all different and understanding and embracing this is where the real freedom of yoga lies. Every individual body is unique, so not every posture works for everybody. The most important thing is to focus inward and listen to your own body and know what is right for you. 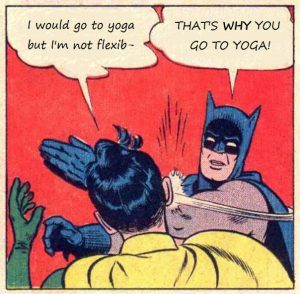 This statement assumes that if you are flexible, you will, in turn be better at yoga. 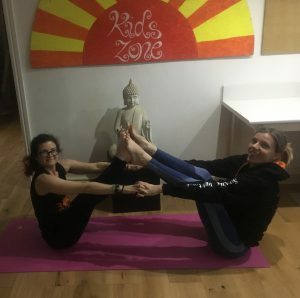 In reality, whilst the more flexible may be able to easily touch their toes in a forward fold or reach their feet in head to knee pose, extreme flexibility can actually be quite problematic. The very bendy body (the hypermobile) have an increased risk of sustaining injury, unless the individual is mindful of their practice. This can also be an issue during pregnancy, as the ligaments are more relaxed. Greater care is required if this is the case. When considering this mis-conception, we need to remember that the goal of yoga in itself is not merely to become more flexible. 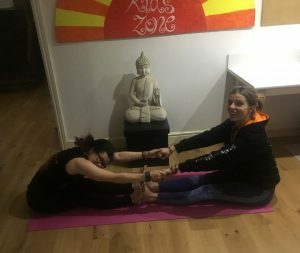 Whilst flexibility most certainly improves with regular practice, and is desirable to obtain, there are a wealth of other benefits to be gained as well. Flexibility alone, we must remember, is not the only factor in achieving different yoga postures. Physical strength also has an important part to play. Yoga postures (asanas) help us to build our strength, as well as our flexibility. Balance too is a very fundamental part of any yoga practice. Whilst one person may be able to put their hands flat on the floor in a forward fold (uttansana), they may equally lack in the balance department. It is important to remember we are all different and as with anything in life, there are things that some may find harder that come to others with ease. 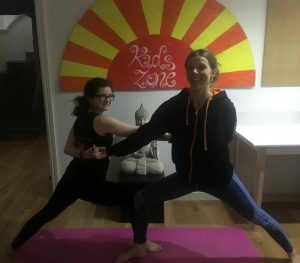 Yoga is not something that’s just for the young, thin and flexible; it is an ancient practise that really can be of great benefit to anyone who’s open to the possibilities. Yoga can be adapted to anyone and everybody. It’s not about being good at something, it’s about being good to yourself! Yoga postures give us the ability to focus on being present within our physical bodies, accepting ourselves in this moment, exactly as we are. This enables us to have control over our thoughts, keeping them positive and uplifting. Sometimes the trickiest thing can be releasing the constant stream of negativity that we hold within ourselves, which undermines us, removing our confidence and self-worth. Often, it almost seems as if we are at war with our own bodies. It can be demanding, but with a regular practice we can quickly reap great rewards, including improved strength, flexibility and balance, a greater sense of inner peace, calm and control and perhaps most importantly self-acceptance. Yoga is one of the best available tools to overcome the viscous cycle of self-deprecation and help us to learn to embrace our minds and our bodies as they are today.